AOpen and Bsquare will host a webinar covering the Microsoft Windows Embedded platform, titled “Lowering the Cost of Intelligent Solutions,” on Monday, July 23 from 11:00 a.m.–11:45 a.m. PST. The Microsoft Windows Embedded platform brings Windows 7 to smart devices with lower costs and features designed specifically for smart devices. 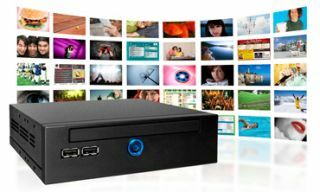 AOpen and Bsquare are working together to combine small form factor platforms with validated Windows Embedded Standard 7 Images. This enables a platform with the familiar features of Windows 7 to be used for digital signage, kiosks and other smart device applications. Kevin Cosbey, business development manager at AOpen, will be hosting this webinar. •What are the benefits of the Windows embedded platform? •What kind of applications can the embedded platform be used for? •How do I get Windows Embedded for AOpen Platforms? An interactive question and answer session will be held at the end of the webinar.